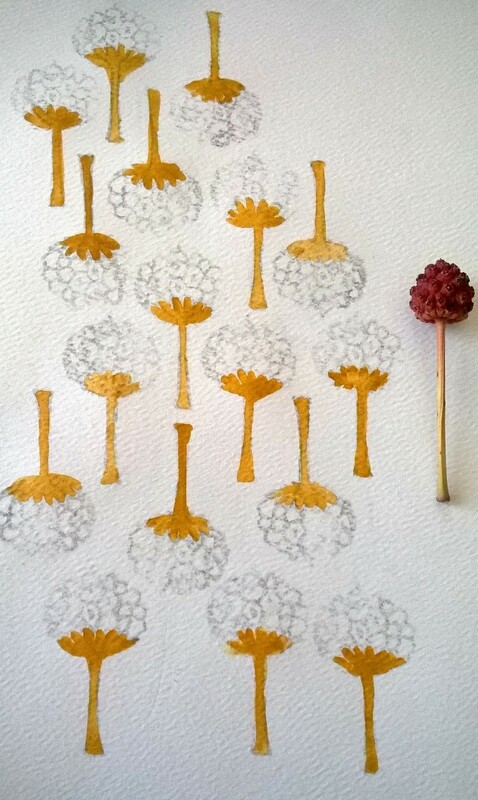 Here’s a simple example of how to transfer an original sketch onto watercolor paper. 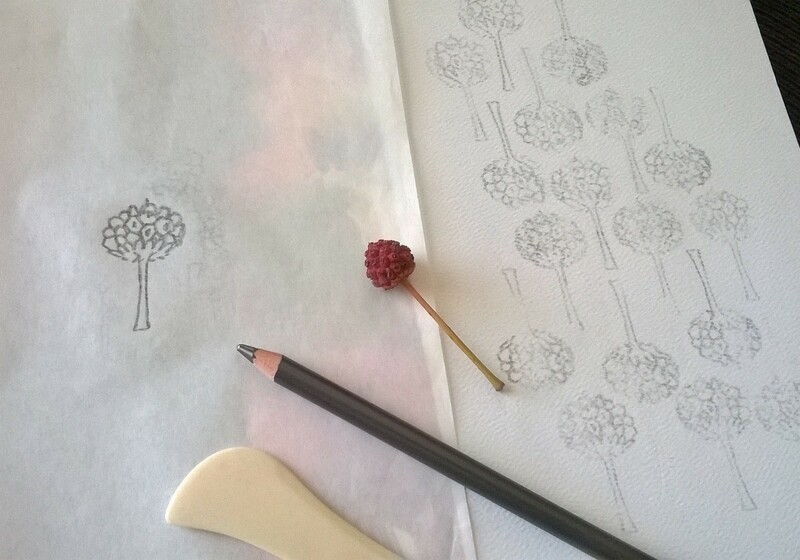 Create your sketch on tracing paper in pencil. I used a thick soft pencil. 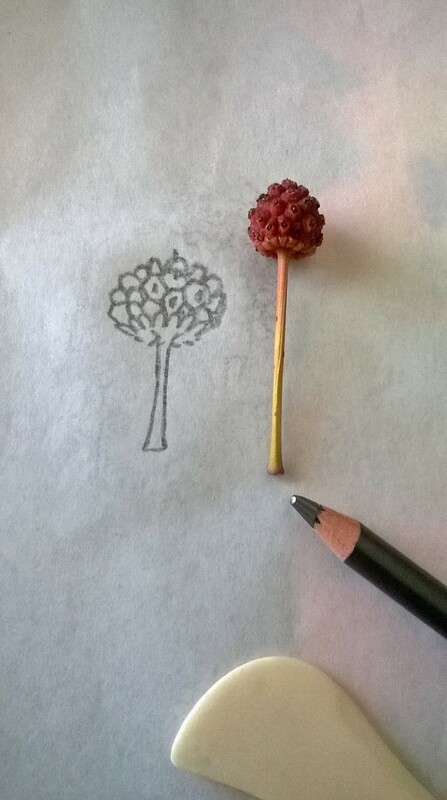 My sketch is of a seed pod I noticed when I came out of a store this afternoon. It was hanging off a tree that was next to my car in the parking lot, and the red tip caught my eye. I thought it was interesting and plucked it up. I only did one simple sketch. My sketch is intended for surface design, and for that, realism is not key here, but rather simplified silhouette and a pleasing shape for a pattern. Once I had the initial sketch on the tracing paper, I placed the paper upside down on top of a piece of watercolor paper. On the side of the tracing paper without the drawing, I used a bone tool to rub the drawing off the tracing paper and onto the watercolor paper. You can use the back of a spoon. 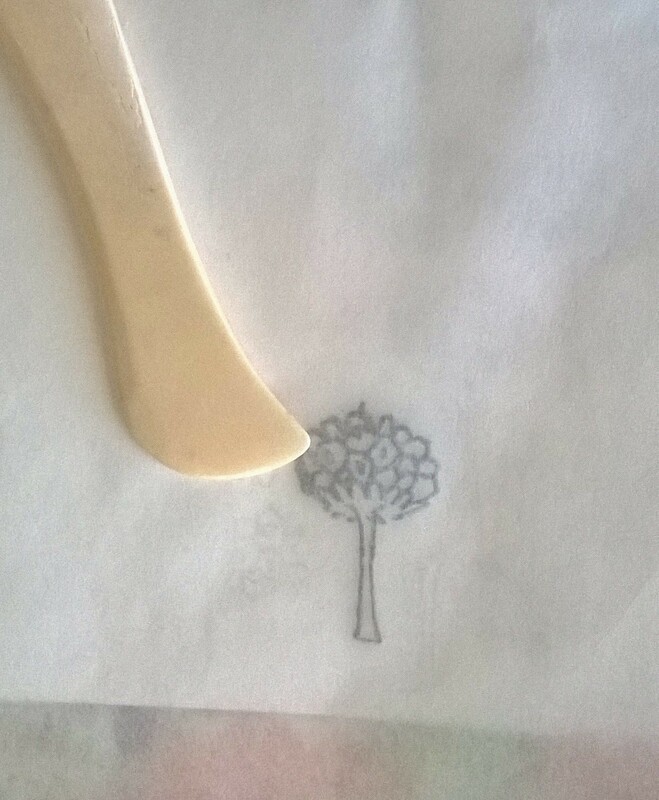 Using tracing paper is helpful because you can see through it and look at the design as it is forming on the paper, and decide where you want to place elements. The rubbing comes off the paper and creates almost a stamp effect on the paper. 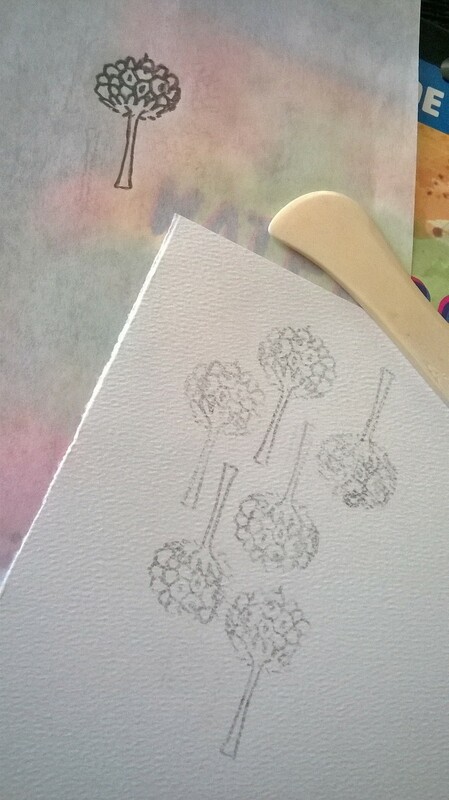 You can rub out several more of your motifs onto the paper before needed to go back over the drawing with graphite so that it’s fresh again for additional transfers. 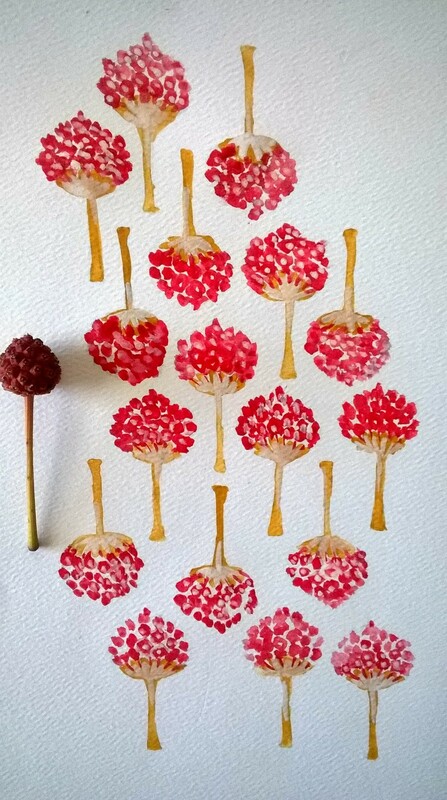 After creating an arrangement of my seed pod things (if anyone know what kind of a tree this is from, please do tell! ), I then took out my watercolor paints and proceeded to “color.” I used only two colors – ochre, red, and a touch of white at the end. After painting the ochre and red, when all was dry, I erased the pencil marks, but because I used a lot of graphite and made heavy imprints, the marks were not thoroughly removed behind the ochre and red. In the red, I liked the graphite giving a little burnished look so I didn’t have to paint in shadows. Doing this differently, for a cleaner more professional look, I’d make the motif larger, use less graphite and lighter “stamps”/impressions, and paint using gouache inside the lines so they could be easily erased. This was fun to do and meditative. Now you know how I did it! Loving this tip and the beautiful art, I have often wondered how I could create my design end pages for my picture book. This would work thank you. Its beautiful and you are prolific! Beautiful design work here, Cynthia. You have a natural gift for design! 💛 Happy Friday! Thanks, Laura. I am working on it! I thoroughly enjoyed reading about the process of how you did this Cynthia thanks for sharing your amazing talent with us!! Glad you enjoyed, Jodi! xo Thank you! Loved seeing your process. 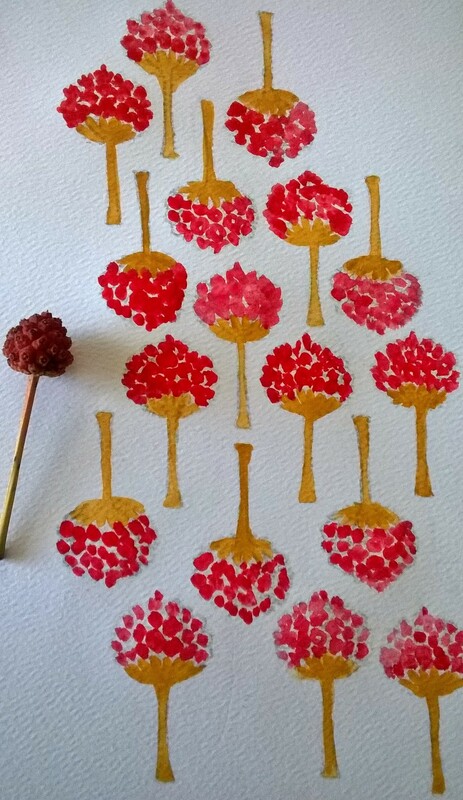 From humble seed pod to beautiful art…fantastic! Thank you for sharing. The final piece looks neat – really enjoyed learning about the process. I’m inspired. I love that your eye saw the possibilities in a little seed pod and carried out a wonderful project. I’m going to try this technique so thank you. N.
I actually tried to outline one in black and didn’t care for the look on these (maybe on a larger size seed pod) and then used the white to cover the black and used the white throughout. That’s how the white got in there! LOL. Super cool, glad it was a good worthwhile trip for you. : ) Nice to hear! xo I’ll be seeing Amelia around the holidays/New Year, so we’ll chat about this, lol! 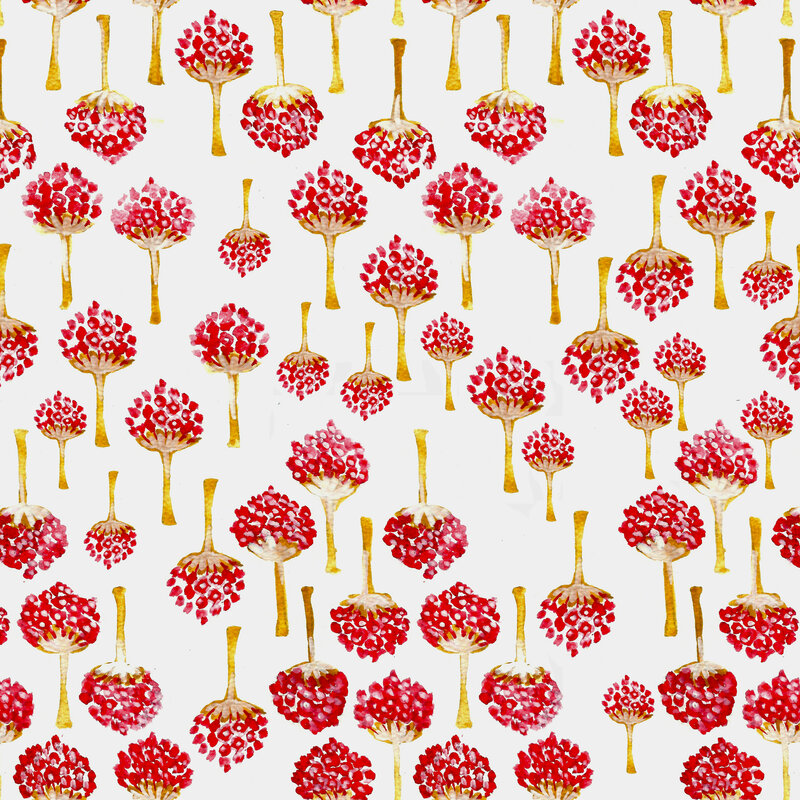 It’s the seed from a Kousa dogwood (Korean) and I love the art and pattern you made with it! Thanks for sharing the tip about using the boning tool to transfer the drawing! OMG, so glad you knew what it was!! Teresa, my new best friend. Kousa dogwood – a Korean plant in Pennsylvania. Love it!!! Thank YOU! It tastes good? I only took one pod. I would like to eat it, but … hmmmm. Glad I can make you smile! 🙂 It doesn’t taste too bad; I’d eat it if I had nothing else to eat, but it’s not something I’d seek out. LOL! NOW I am laughing! LOL! So funny. I’ll pass. Let it dry out and just look at. I’ll put it in my glass dish with the acorns, more squirrel food. Have a good night, my friend! 😀 That’s a good idea! You have a great night, too! What a great idea! I’m thinking this would be so pretty as a background for some hand lettered quote in bold black brush pen! Very cool! Oh, must do that next ! Cool! Very nice and cool idea! Looks beautiful!